Make two drawings of pottery forms, each on an 8 1/2 by 11 inch sheet of paper. One must be a historical pottery type style. The other must be of your own design. Tell how three different kinds of potter’s wheels work. Visit the kiln yard at a local college or other crafts school. 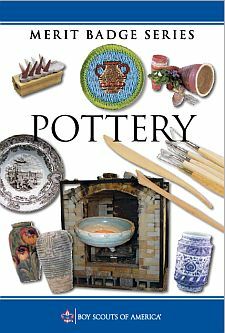 Learn how the different kinds of kilns work, including the low-fire electric, high-fire gas or propane, wood or salt/soda, and raku.